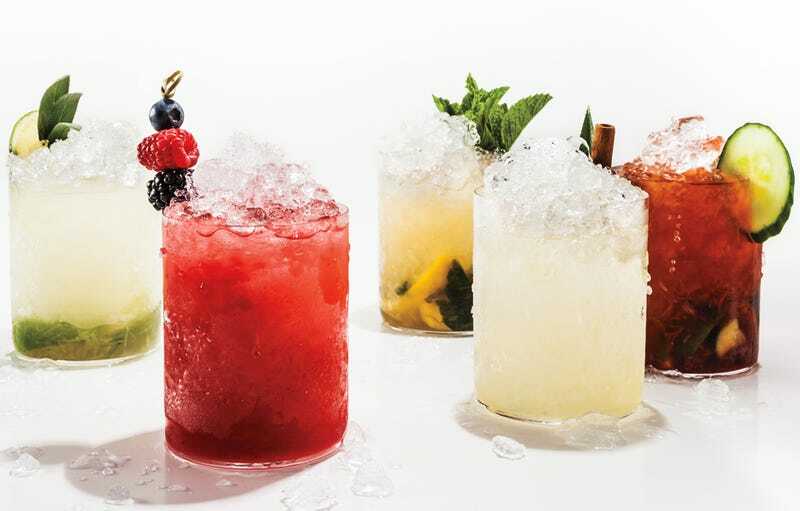 Here's a refreshing cocktail for your almost-but-not-quite-yet-Friday afternoon. Using a muddler or the handle of a wooden spoon, mash 7 fresh mint leaves, 1 lemon half, quartered lengthwise, and 1 Tbsp. Simple Syrup in a 16-oz. mixing glass or a cocktail shaker 4–5 times just to release juices and oils. Add 1/4 cup bourbon. Transfer to an Old Fashioned glass. Fill halfway with crushed ice, stir, then mound more crushed ice on top. Garnish with mint sprigs. What are you sipping on today? Share below.